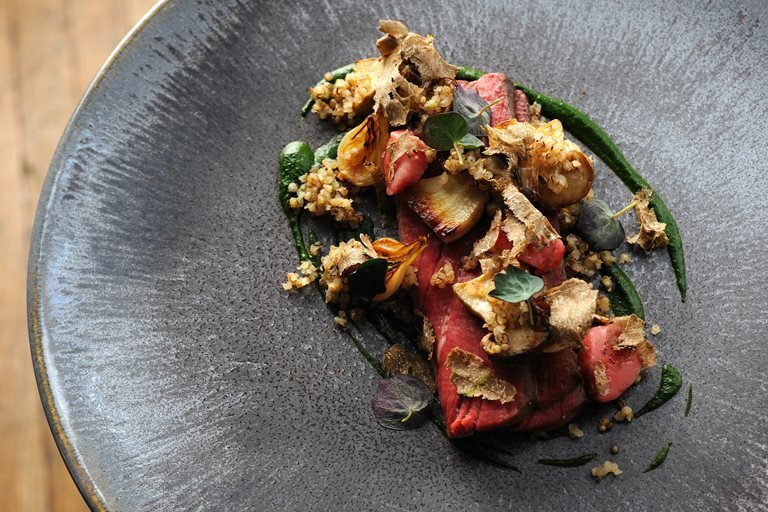 This beef fillet recipe from Adam Simmonds requires you to cook sous vide in a water bath, so make sure you have all the correct equipment before you start. If you can’t find grelot onions, use small shallots instead. You can buy the smoke powder from an online speciality ingredients store. Beneath the surface of Adam Simmond’s dishes is highly original, thoughtful cooking.